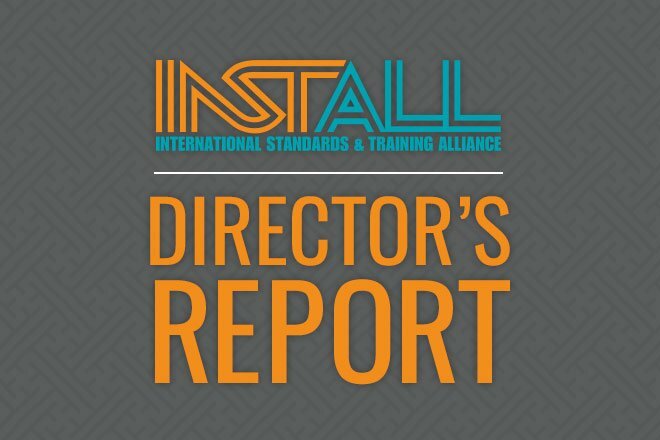 I’d like to thank everyone in the INSTALL Alliance for your contributions throughout 2017. This year, collaborative efforts have led to success in key areas that INSTALL will continue developing throughout 2018. Six new Warranty Contractors have been added to the program this year. These contractors exclusively deliver the INSTALL Warranty on Labor, which has underwritten almost $400 million in installations since it began in 2013. Through strategic coordination, our base of certified installers continues to expand across Florida, Texas, and Southern California. These local and transplanted installers are already performing award-winning work throughout these key regions. We constantly look for opportunities to provide trusted installations and expand our range of training. Concrete polishing is the latest addition, with training beginning in June this year. Since then, millions of square feet have successfully been installed for retail, industrial and corporate projects. With support from the Carpenters International Training Fund, our instructors worked with Armstrong and Tarkett to develop new master resilient certifications. INSTALL instructors are now authorized to conduct these award-winning certifications at all of our training centers.